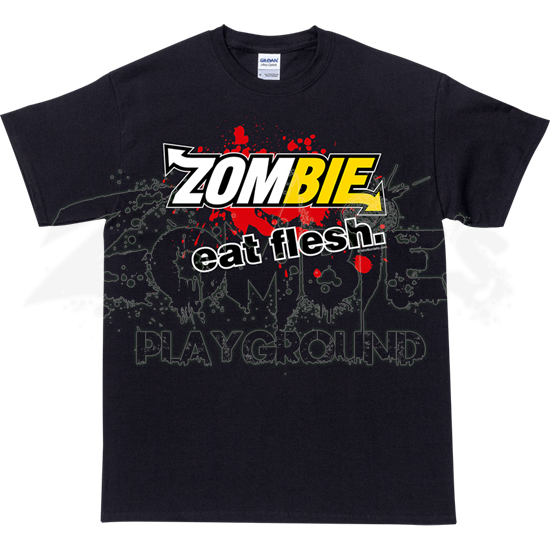 In a clever play off of the famous Subway logo and slogan, the Zombie Eat Flesh T-Shirt features a similar styling but with a zombie focus. To enhance its likeness this design employs the same colors and fonts as these sandwich shops. This design displays three words, with the first word depicted half in white and half in yellow to mimic the style of Subway. These words read, ZOMBIE EAT FLESH, and are displayed on a background of simulated blood spatter to enhance the horror theme. 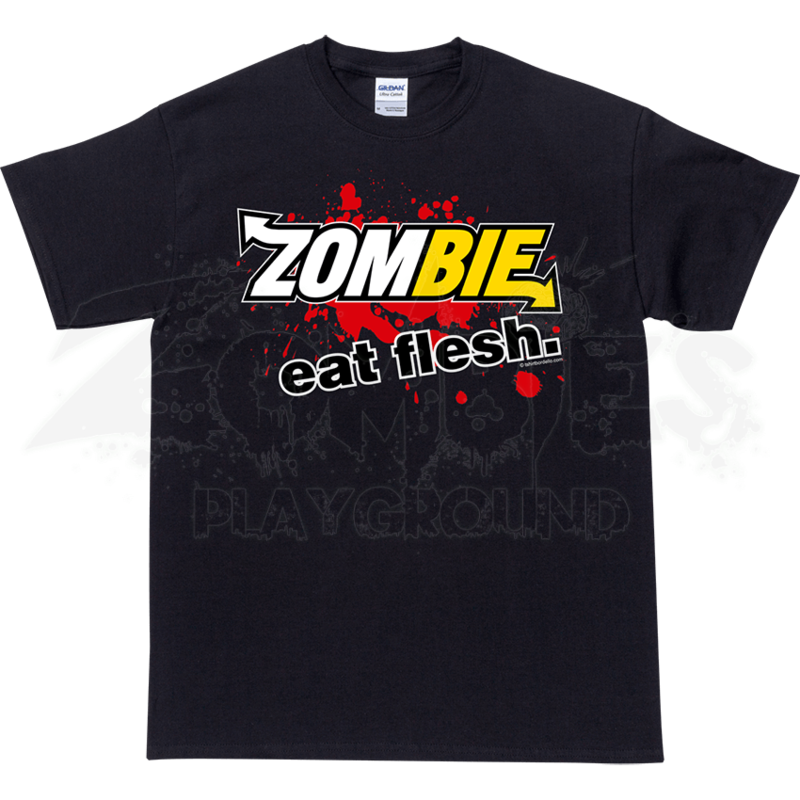 This witty alteration of this commonly known brand and slogan is subtle in its appearance and thus makes the Zombie Eat Flesh T-Shirt an excellent way to incorporate your fascination with the undead into your wardrobe.